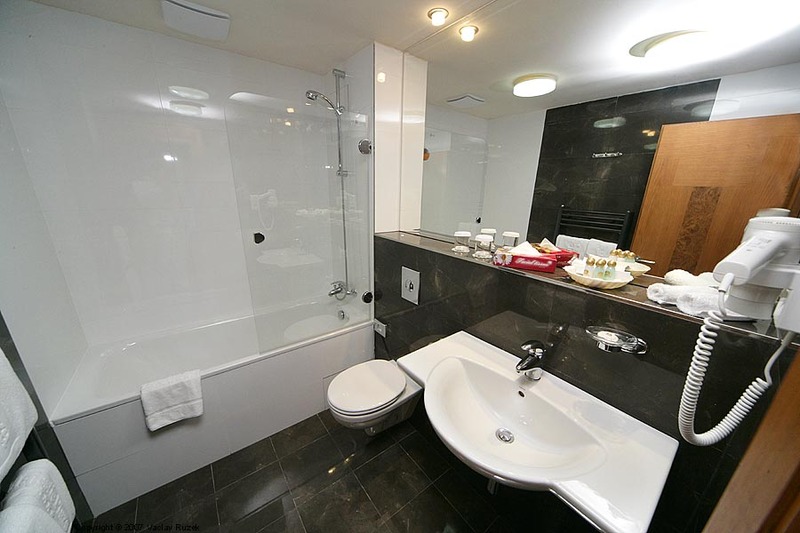 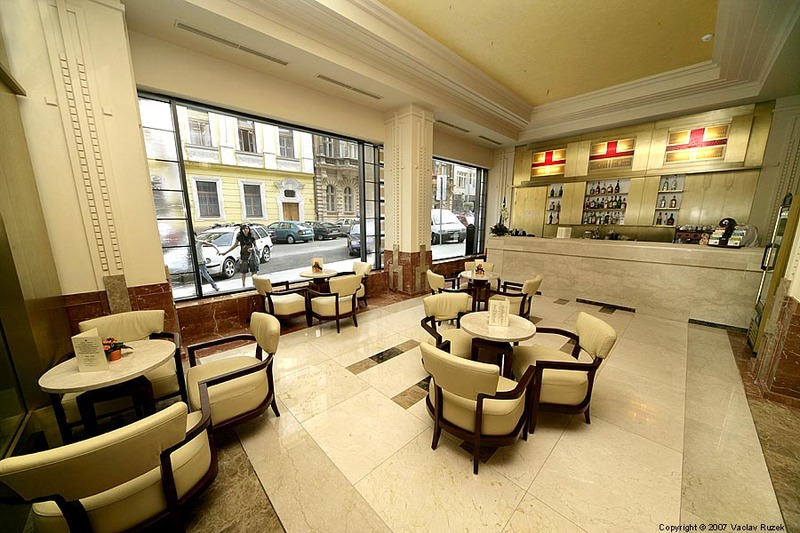 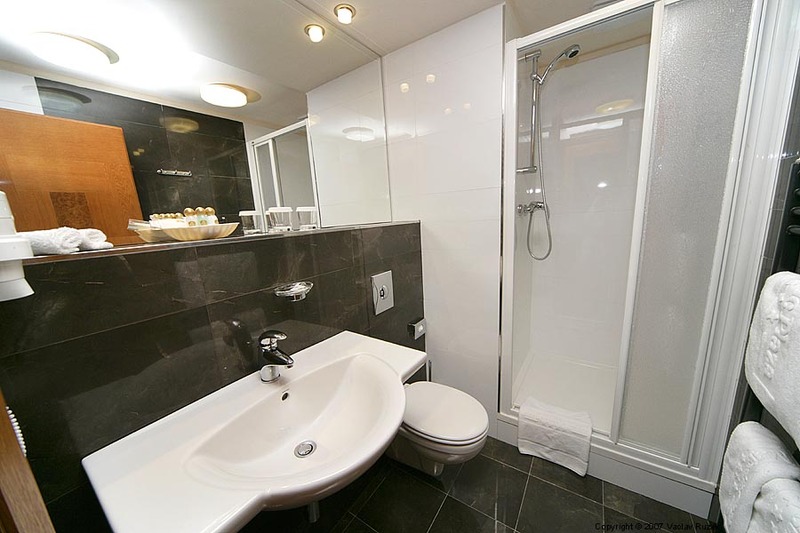 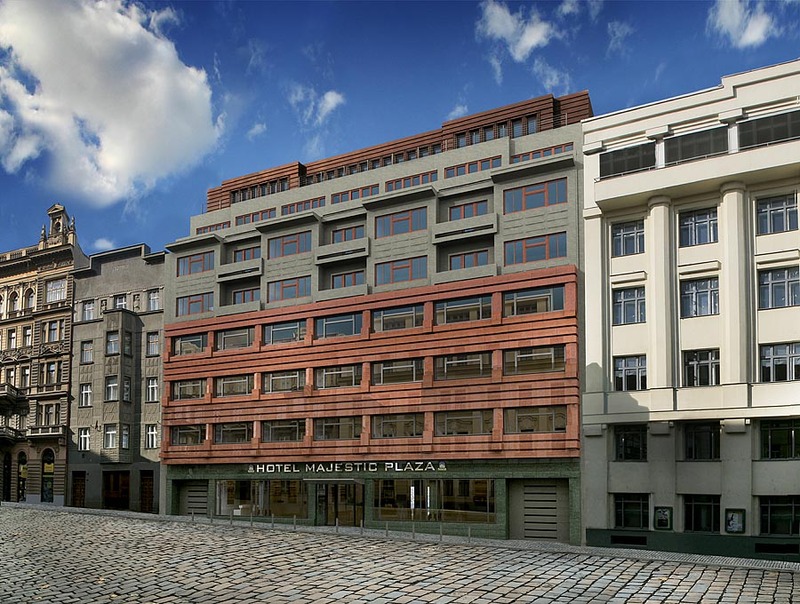 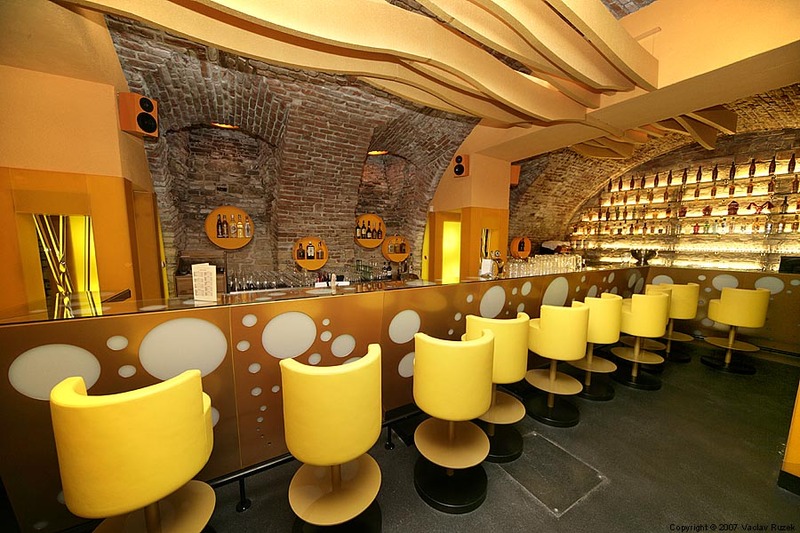 The new, stylish and comfortable hotel Majestic Plaza (opened in June 2007) is located in two houses in the street Stepanska and Skolska, only few steps from the famous Wenceslas Square. 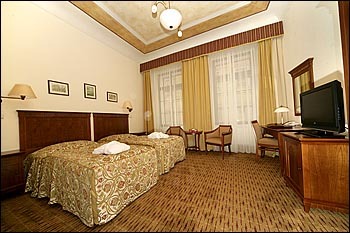 Four star Deluxe Best Western Premier Hotel Majestic Plaza provides 190 unique rooms in two interior styles, Art Deco and Biedermeier. 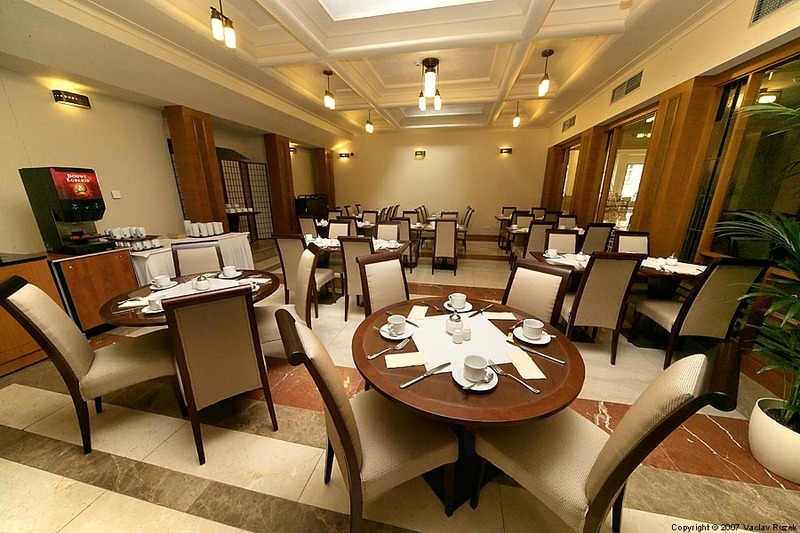 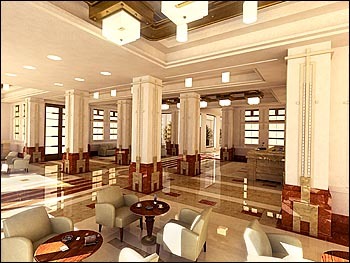 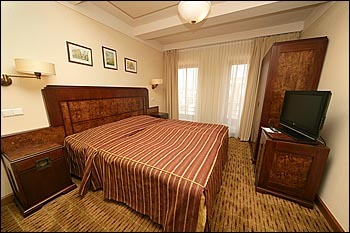 Our guests will meet excellent service, helpful staff, delicious dishes and nice places for relaxation. We offer 190 rooms in two buildings: 140 Art Deco rooms in the building Stepanska (including 5 suites and 5 junior suites) and 50 Biedermeier style rooms in the building Skolska. 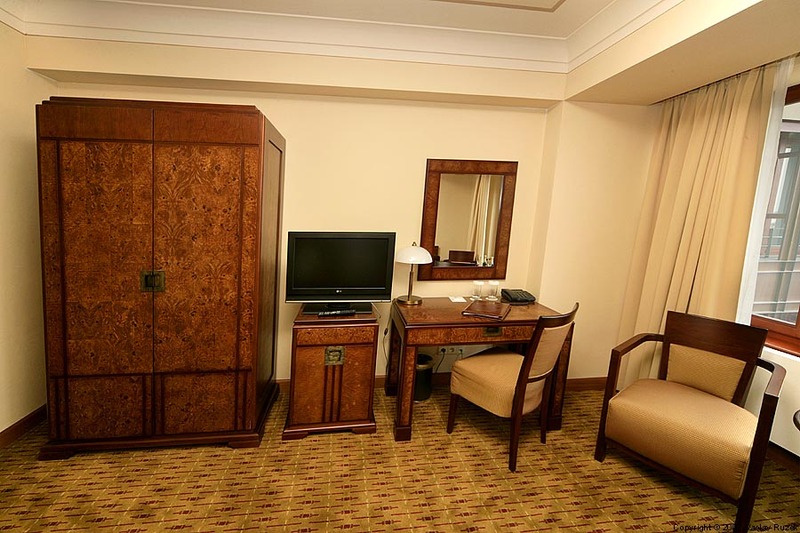 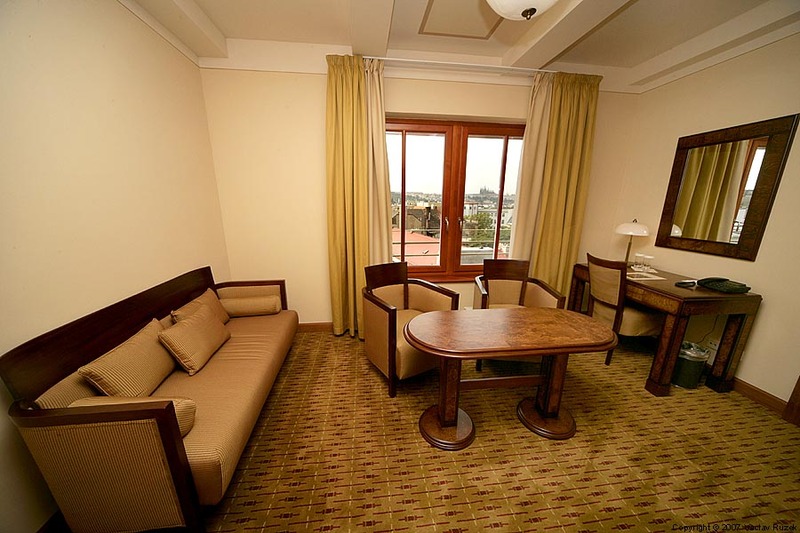 All superior rooms are equipped with individually adjustable air-conditioning, WLAN & WI-FI internet connection, LCD TV-SAT, radio, alarm clock, minibar, coffee & tea making facillities, safe deposit box, writting desk and chair. 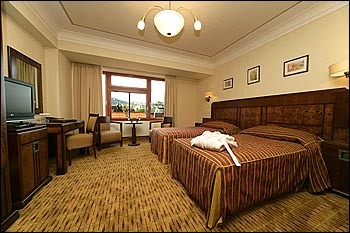 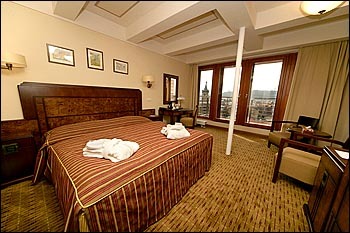 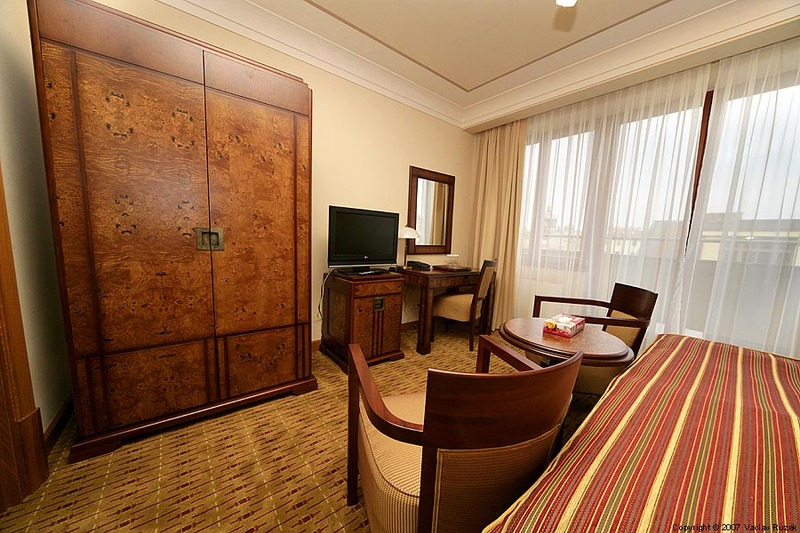 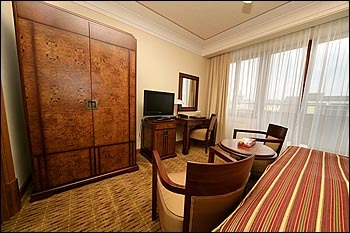 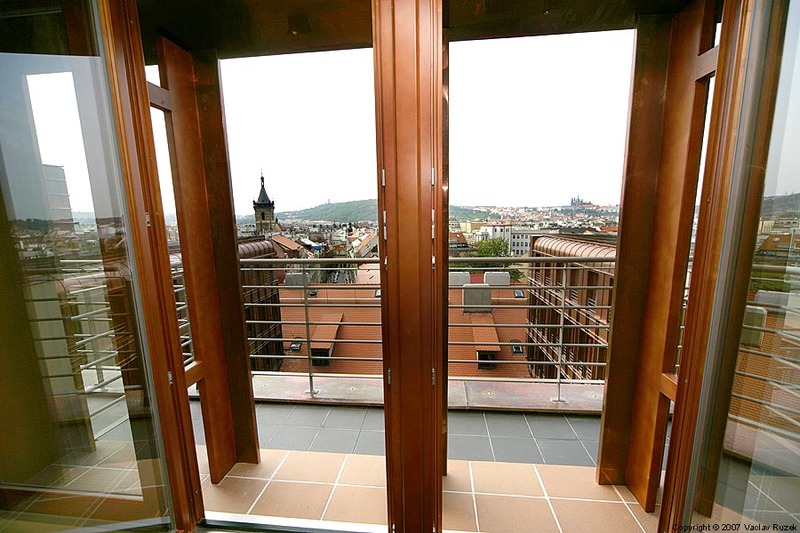 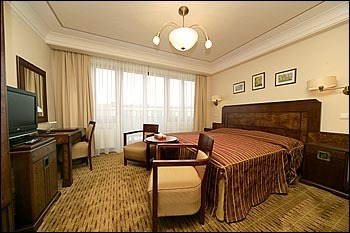 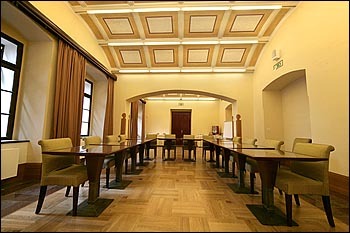 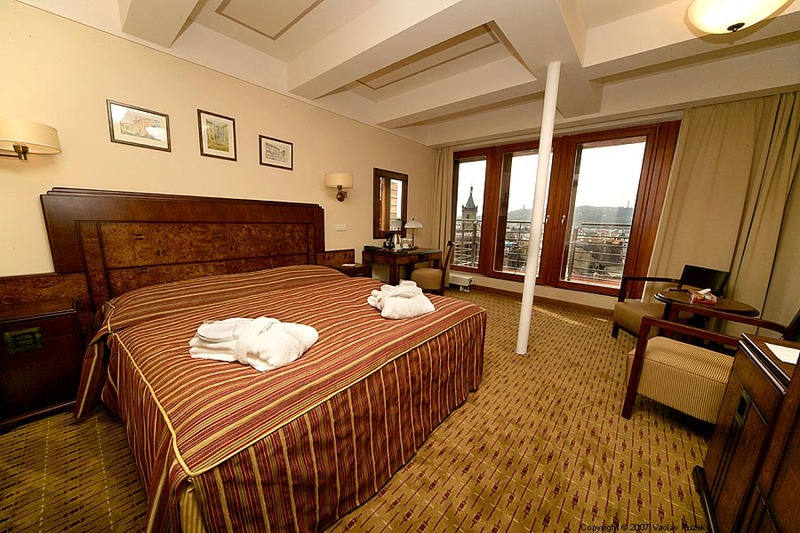 On the 7th floor of the Stepanska building there are 8 Majestic Panorama Club rooms with view of the Prague Castle. 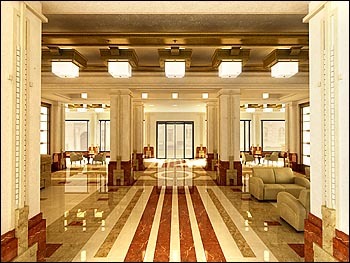 Meet excellent service, helpful and friendly staff and taste cuisines of all around the world. 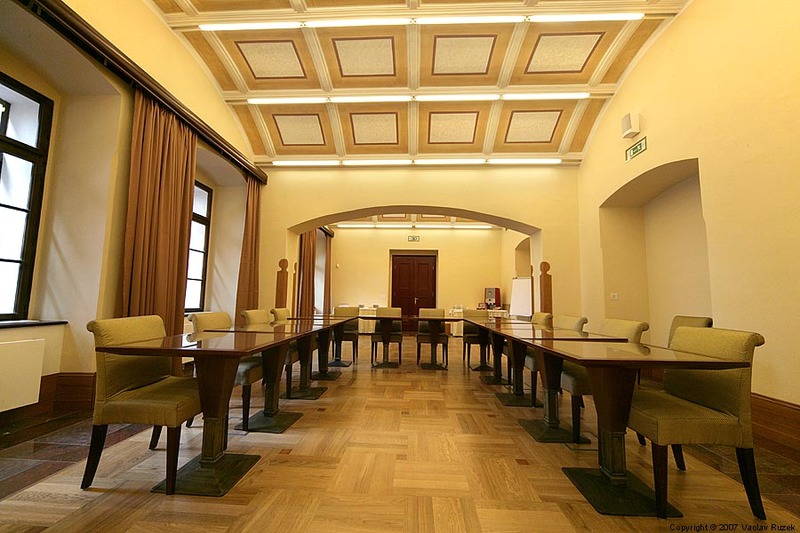 Majestic conference hall with daylight offers the-state-of-the-art audio and multimedia equipment on its area of 78m2, with capacity up to 80 participants.Your meetings, conferences and social events will have charming atmosphere due to vaulted top walls decorating with paitings. 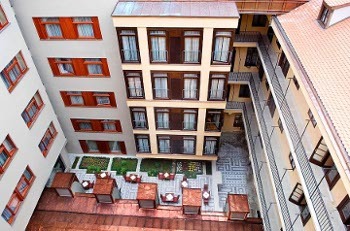 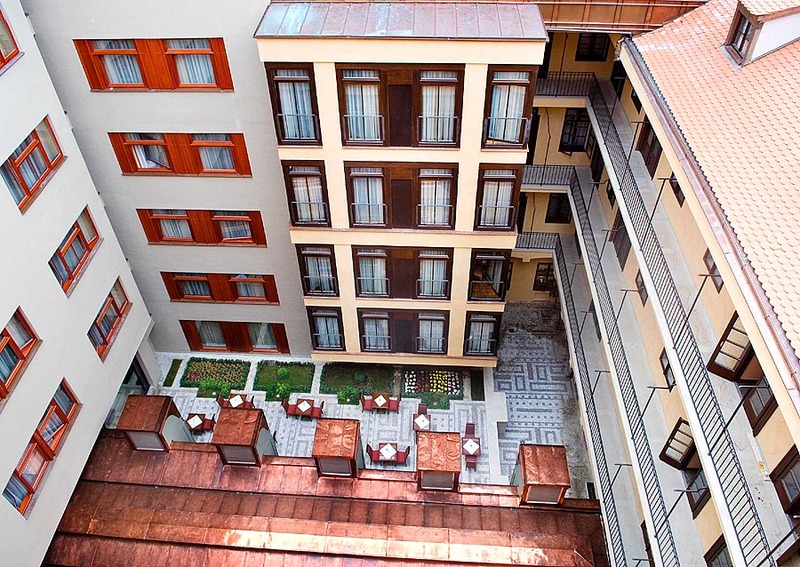 In the middle of the hotel complex there is a smart courtyard with fine grass and beautiful flowers. 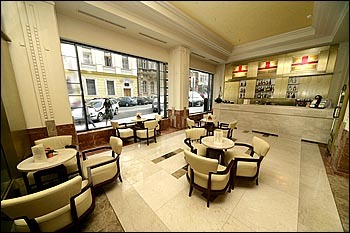 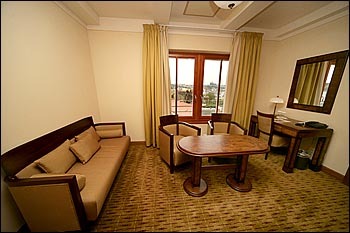 Our guests can also relax here in a small open Cafe. 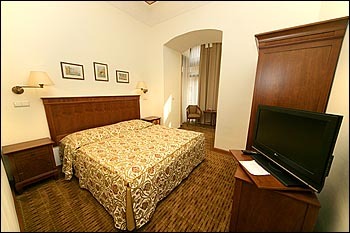 We offer 15% discount all year long for reservations prepaid 5 days or more in advance. Prices include buffet breakfast, VAT and local charges. 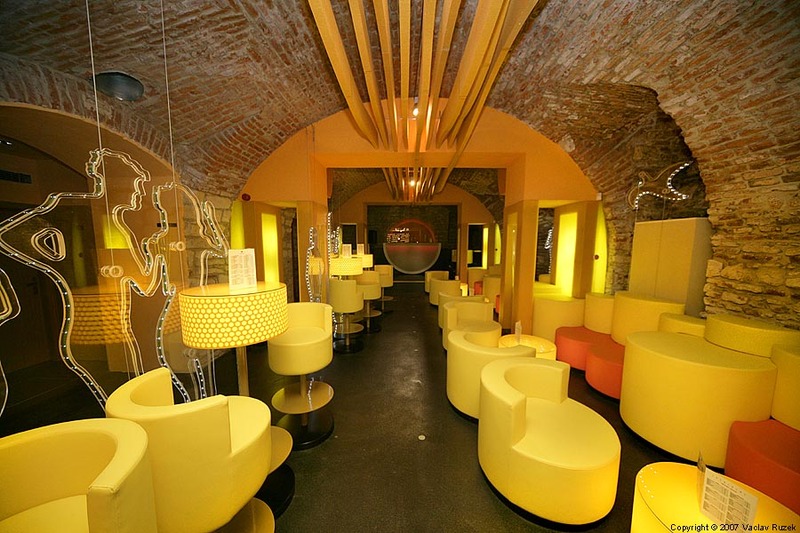 Parking in underground garage ... 25 €. Children up to 11 years free of charge.